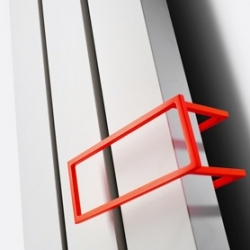 The BEAMS a radiator of the future generation in aluminium design radiators by Studio Segers for Vasco. 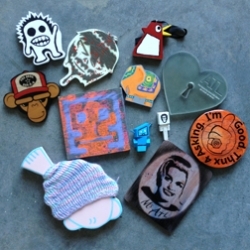 Free Art Friday movement in Atlanta, GA, is an expanding social art scavenger hunt where local artists offer small versions of their work for free on the first Friday of each month. 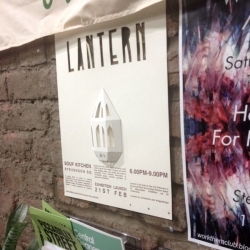 Laser cut 3D poster by himHallows to advertise a group exhibition based around paper lanterns. 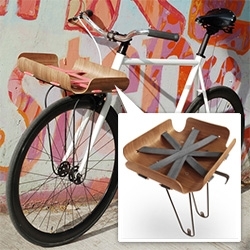 Bent Basket - A bent plywood minimalist basket paired with nylon and aluminum, designed in San Francisco, tested in Paris, refined in NYC. 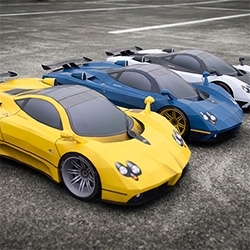 By Faris Elmasu. 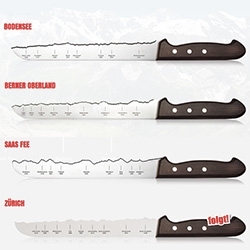 Stick-lets! 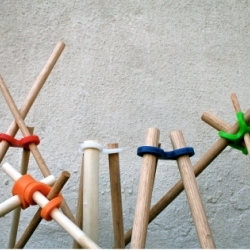 The Deka Kit will introduce creative minds to the endless possibilities of constructing with sticks. 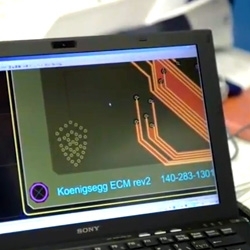 These flexible connectors provide enough modularity and options to get inventors started. 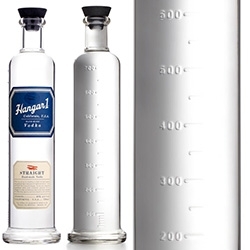 Hangar 1 Vodka's packaging redesign from Stranger & Stranger looks fantastic - love the scientific rubber stopper and volume markings! 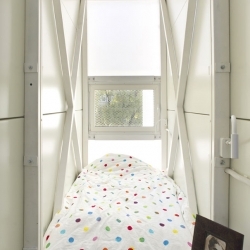 The Keret House is an ­art installation in the form of an insert between two existing buildings, representing different historical periods in Warsaw’s history. 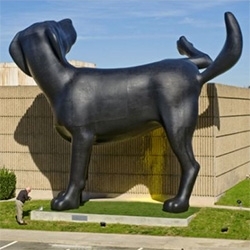 Located on a plot ­measuring 92-152 centimeters in its ­widest point. 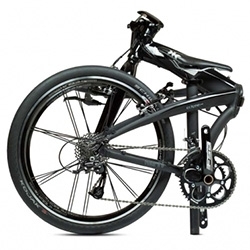 Lovingly called the Pirate-Ninja because they couldn’t decide which of the two was more badass, Tern Eclipse X20 is quite possibly the world’s fastest folding bicycle. 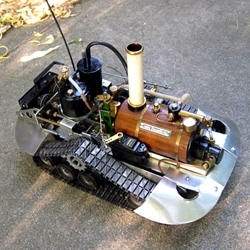 I-Wei Huang hacks together RC toys and steam engines to make intricate kinetic sculptures. 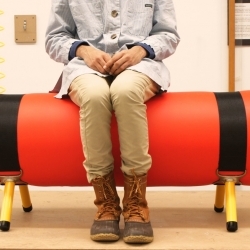 Emergency Bench, ready in minutes, by Jamie Wolfond. 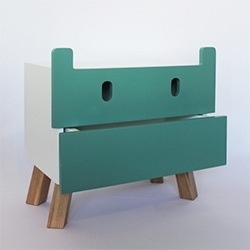 The Mostros (monsters) collection designed by Oscar Nuñez is born from the idea that you can impart into a piece of furniture, aimed at children, a personality that can generate a playful relationship between user and object. 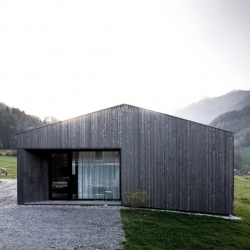 'House' by Sven Matt Architekts in Mellau, Austria. 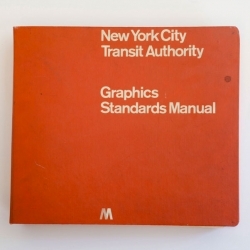 Pentagram have discovered a copy of a 1970's first edition New York City Transit Authority Graphics Standards Manual designed by Massimo Vignelli and Bob Noorda of Unimark International. 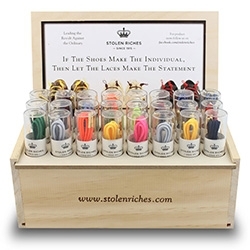 We do socks. 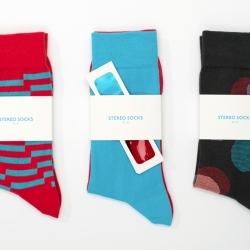 Stereo socks. And we just did our 1st issue. The Cedarvale Ravine House by Drew Mandel Architects. 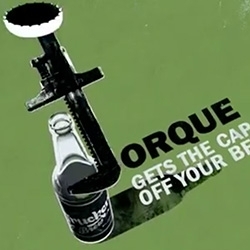 VIDEONice graphics in the Ford 2013 F-150 Commercial: Thinking. 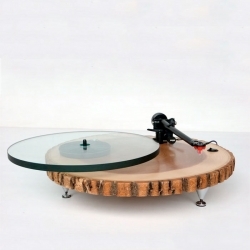 Audiowood's Barky is a precision turntable from a Rega parts kit with a solid ash round. 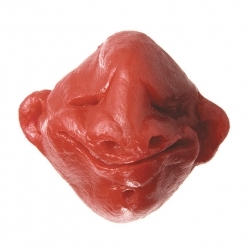 'Babybel heads' A series of small sculptures made with Babybel cheese packaging. 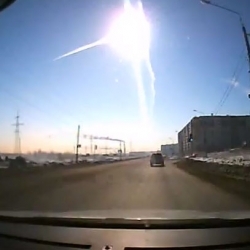 VIDEOIncredible footage of the meteor that came crashing in Russia's Ural mountains this morning. 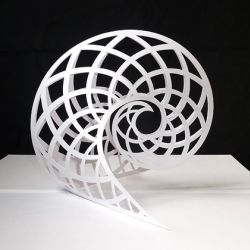 Peter Dahmen's amazing Pop-Up Paper Sculptures! 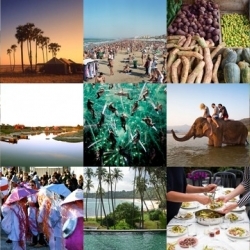 FEATUREDThis week’s roundup from NotVentures includes cooking and eating on the Italian Riviera, adventures in Laos and the shores of Mozambique. 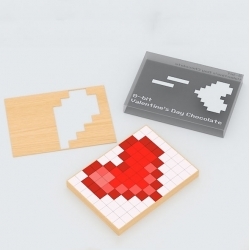 Néstor Silvosa's 8-bit Valentine's chocolate/card. 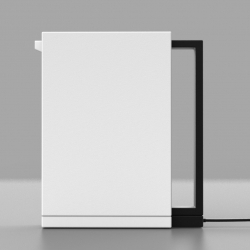 This cordless kettle celebrates simplicity: water tank, handle, and power base; all are understated. 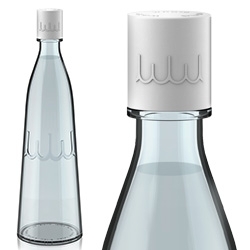 However, when taken together as a whole, they quietly express the flow of water and power through the elements. 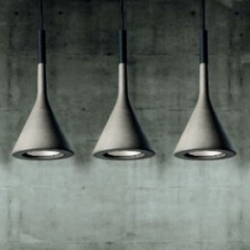 Deconstructing the design of Foscarini’s Concrete Aplomb Pendant Lamp. 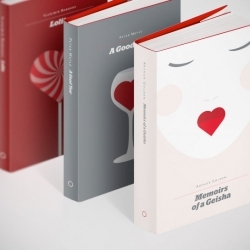 To celebrate Valentine's Day a series of 14 book covers (literally) centered around the motif of a heart by re:design. 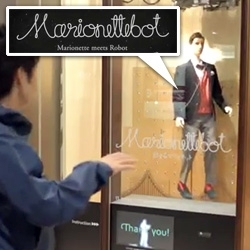 VIDEOMarionetteBot at United Arrows in Japan is quite the window display. 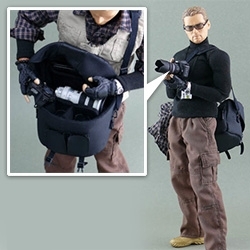 Mannequins + Kinects = window displays that mimic the motions of people passing by. 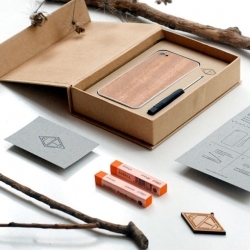 QOOP's nature inspired identity for Eden. 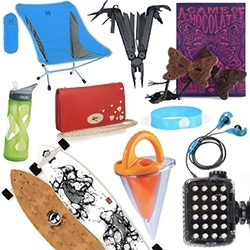 FEATURED"Let's Cozy Up!" 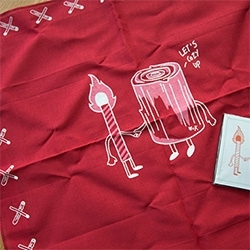 ~ a fun valentine's day surprise from Wieden + Kennedy... and an edible cocoagraph! 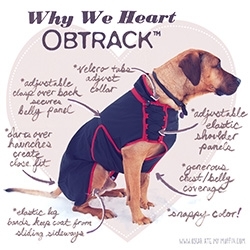 Obtrack ~ stunning review over at Oscar Ate My Muffin of this Swedish canine coat company. 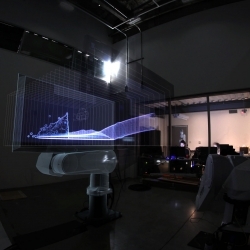 VIDEOEye,Robot is a compilation of student work exploring the intersection of computation, robotic fabrication, and cinematography at SCI-Arc lead by Brandon Kruyman and Jonathan Proto. 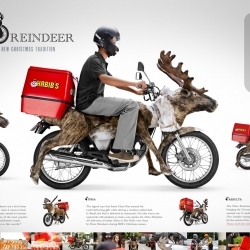 Moto-Reindeers delivered thousands of turkey sfihas, bringing the Christmas spirit to the streets in a new and unusual way, making Christmas 2012 unforgettable for many people. 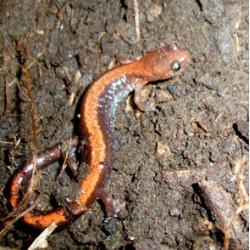 Science magazine on monogamous species, like these red-backed salamanders. 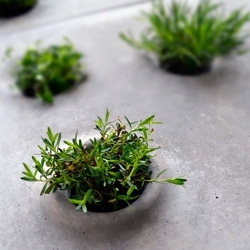 A series of paving stones that host vegetation, allows flexible customization and integration of greenery on the paved urban floor. Resulting in a more healthy and sustainable city environment. 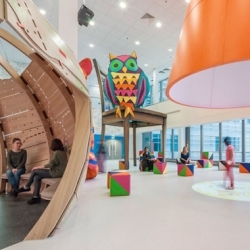 Fantastic new interactive play area at The Royal London Hospital's Children's Hospital designed by Cottreel & Vermelen and Morag Mysercough. 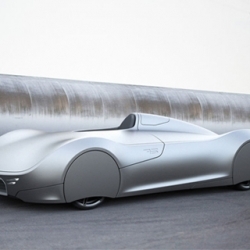 German designer Luke Rittwage pays respect to the 1938 Auto Union Type C 'Silver Arrow' with his Stromlinie 75 Concept Car. 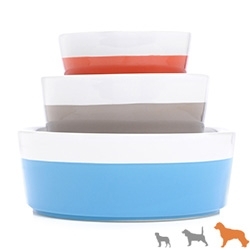 Waggo Dipper Bowls for pets! 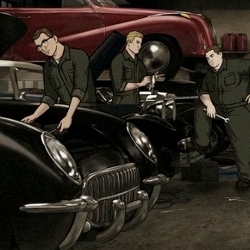 Fun colors for spring - Denim, Cherry, and Khaki. 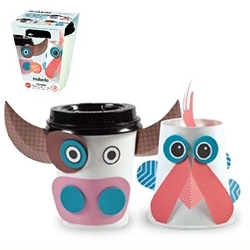 Shibuya's FabCafe 3D scans and 3D prints a mold to create versions of your face in chocolate for Valentine's Day. 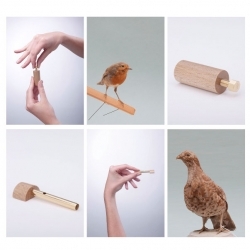 Beautiful APO Whistles by Bettina Pozzo Di Borgo.